« First Marzipan Festival – Retro Sweets – Budapest – 2016. World Poetry Day … Budapest … March, 21, 2016. 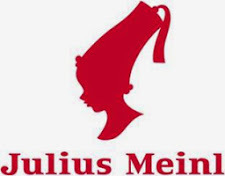 Julius Meinl coffee and tea premium quality since 1862. Coming up … Friendly Invitation! From 6 a.m. until a minute just before midnight! Inspiring poets day is held since the middle of the XIXth century. It is not a day to reinvent the sealing-wax, yet to-day dozen-and-dozen of countries celebrate the World Poetry Day when it is common to pay with a poem. A poem is replenishment, guidance or even provide relaxation even to-day when life speed most of us up. Mind you, you don’t have to be a poet … but everyone is a poet in their own way having the ability to be so and maybe also be surprised to see, reveal the secret as to be a poet inside of you. Choose your favorite “Julius Meinl” coffee or cuppa tea and instead of paying with currency, pay with currency of written emotions by you. Try it … every sip you take will bring your own message, own fantasy … write it down and pay with that. This only a one day event so come together by inviting your friends, family, hubby on this special day. List of Coffee House especially roasted for you soon to be established! Life is what happens when You’re making other plans……C H.